At The Olive Jar, your dining experience is like no other restaurant in Melbourne. Not only do we make you feel like you have stepped into a little restaurant in Italy, we make the best pasta and pizza in Melbourne. 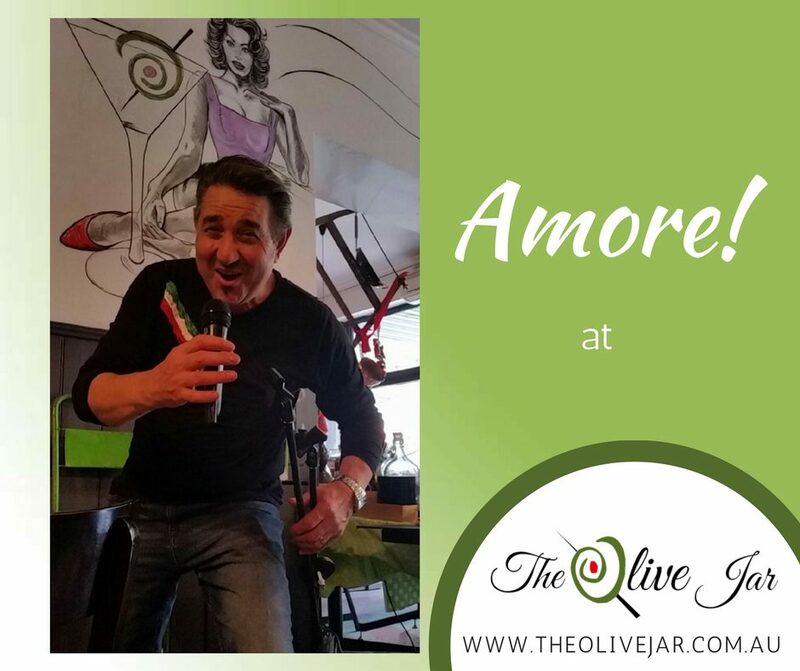 Not only do you get authentic Italian food like you have walked out of Nonna’s kitchen, but we also have our singing waiter sing Italian tunes. The fish on the specials menu will likely be barramundi. My favorite pasta is topped with a staple of these classic restaurants — a hot-and-spicy red sauce with salami, olives and copious amounts of fiery crushed red pepper. The restaurant is also, in some ways, part of a dying breed. In recent decades, many food-obsessed Melburnians have turned away from classic Italian-Australian restaurants, derided for not serving “real Italian food.” While many generally complain about the tourist trappings of Lygon Street, the disdain extends to anything that might be called Italian-Australian rather than modern or regional Italian. The local version of the red-sauce joint gets no respect, even if the pasta is made on site and a guy sings to you while you eat. Most of the midweek business is generated by the restaurant’s $10 pizza or pasta takeout special. But on Friday and Saturday nights, things get wild. On weekends, large multigenerational groups come in to celebrate at long tables, and couples come to dine over candlelight. These are also the nights when Mr. Mico sings. Singing is perhaps too simple an explanation for what he does. He serenades. He flirts. He performs. (He has the languid charm of your youngest Italian uncle; the term silver fox comes to mind.) Wine and limoncello flow, mostly from unlabeled bottles produced — so the story goes — by Grandpa, the family patriarch. When Mr. Mico sings “My Way,” he does so in a thick Italian accent, but the last word of the phrase “I chewed it and spit it out,” is pronounced with a deeply Australian inflection: “aaowt.” On the right night, with enough of Grandpa’s wine and Mr. Mico in the midst of a particularly rousing rendition of “That’s Amore,” the Olive Jar is my favorite restaurant in this city, this country or maybe the world. The Olive Jar is a wonderful, unadulterated example of historical Carlton and Italy as seen through the lens of Australia. 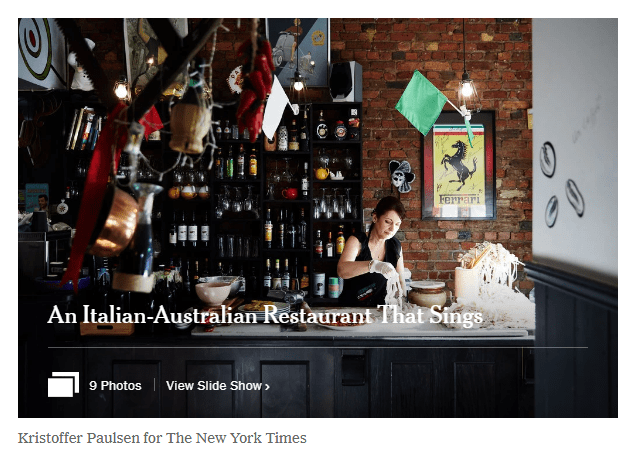 Like Italian-Americans, Italian-Australians have their own dishes and sayings and way of life, one that’s profoundly reverential of the old country and grateful for the bounty of this country.